This classic live bait reel from Shimano (with the secondary drag system that allows freespooling with the bail closed) gets a big update to allow your bait to move naturally. 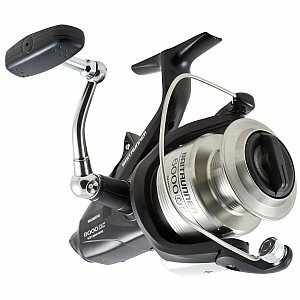 Now the proven Baitrunner® D Offshore Spinning Reels feature Shimano’s Propulsion® Line Management System, shielded A-RB® ball bearings, full S Concept design, Fluidrive® II gearing, Varispeed® oscillation, Super Stopper® instant anti-reverse, and improved DARTAINIUM® dual drag. Graphite frame with cold-forged-aluminum spool. Left/Right-hand retrieve.